A litigant who is not happy with the outcome of a small claims case has the right to appeal. 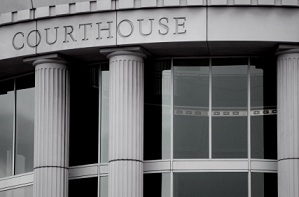 Although a small claims case does not permit legal representation, unless the business is a corporation with an in-house counsel, the appeals process does allow it. The appeal becomes a trial de novo and is heard as if it is a fresh case before a superior court judge. The court may lower, vacate or increase the judgment up to the original filing limit. This is a vastly different and more formal process than the relaxed small claims court setting. An experienced attorney will be familiar with the procedure and be able to present his client’s case in the most effective manner. As procedures may vary from county to county, a knowledge of the procedures followed in the town or city where the case is being heard contributes greatly to the chances of a successful outcome. The Law Office of Holden Green is familiar with the procedures in Palo Alto, Menlo Park, Los Altos, Mountain View, Sunnyvale, Cupertino, Santa Clara, Alameda, Santa Cruz and San Mateo. For more information on our services in this area, contact the Law Office of Holden Green to arrange for an in-office consultation with Mr. Green.